According to a report from Wccftech.com, AMD plans to introduce 45W desktop T-Series Richland based APUs sometime next week. 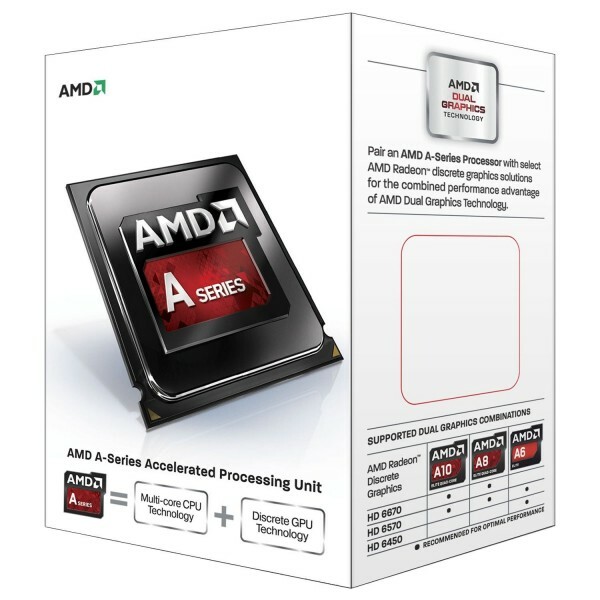 Currently, it is known that AMD will launch two 45W T-Series SKUs, the A10-6700T and the A8-6500T. Although Richland desktop A-series APUs have been around since June, they were limited to 100W and 65W SKUs while HTPC and low-energy friendly 45W SKUs will be coming to retail/e-tail shelves next week. AMD will use the T-Series brand for its low-power Richland parts. The low-power 45W TDP Richland-based lineup will start with A10-6700T which is confirmed for launch next week. It is a quad-core part that works at 2.5GHz base and still unkown Turbo Core clock, has 4MB of L2 cache and features Radeon HD 8650D GPU part featuring 384 stream processors and clocked at 760MHz base and 844MHz GPU boost clocks. The next in line is the A8-6500T, also a quad-core part clocked at lower 2.1GHz and same 4MB of L2 cache. It features the Radeon HD 8550D GPU part with 256 stream processors and is clocked at lower 720MHz. The A10-6700T should launch worldwide next week with a price of around US $150 while it is still not clear if the A8-6500T will launch next week as well. In any case, these two will certainly be quite an interesting SKUs for HTPCs.